Reception for a group of people incl. 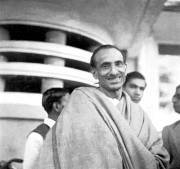 Acharya J.B. Kripalani (waving) at Bombay, 1946. 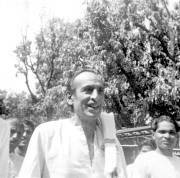 Acharya J.B. Kripalani with Father Verrier Elwin. 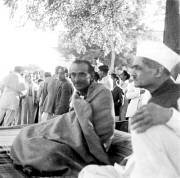 Acharya J.B. Kripalani (centre, sitting) at Faizpur Congress. Acharya J.B. Kripalani at ease inspite of having responsibility of Congress.